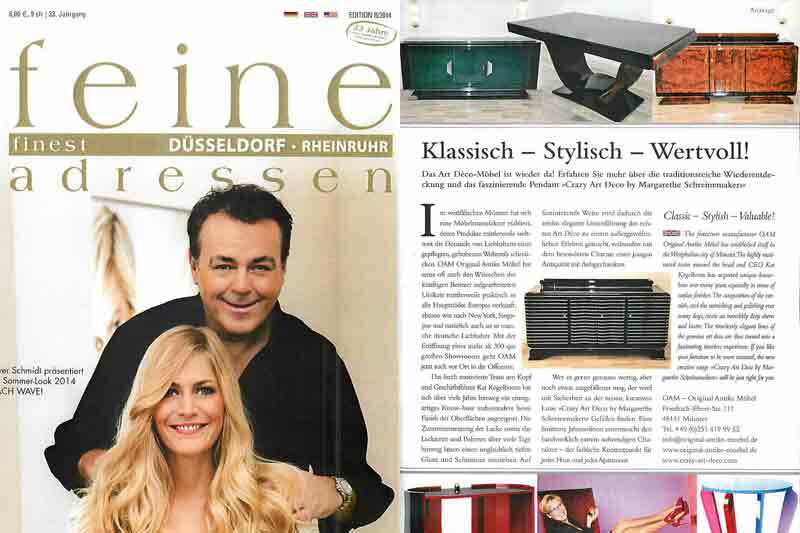 A complete page of OAF was issued in “Feine Adressen”, an exclusive Magazine of Duesseldorf, No. 9, 33th. year. Among others, the article presents OAFs new sales office in Muenster, Friedrich-Ebert-Str. with the new design line “Crazy Art Deco” by Margarethe Schreinemakers. Crazy Art Déco in H.O.M.E.